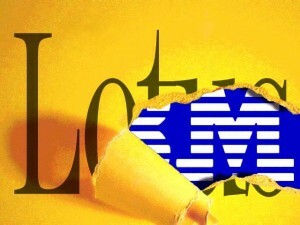 IBM completes a $3.5 billion buyout of Lotus Development, the producer of the once-dominant Lotus 1-2-3 spreadsheet software and the then-popular Lotus Notes groupware. IBM had hoped to leverage Lotus 1-2-3 to challenge the increasingly demanded Microsoft Excel software, but alas, there was little slowing down the Microsoft juggernaut during the 1990’s. Lotus 1-2-3 steadily lost marketshare, and IBM finally announced the end of support for the software in 2013. Lotus Notes groupware faired little better than 1-2-3, succumbing to Microsoft Exchange as the dominant groupware platform among large companies, but it is still entrenched among certain corporations today under the name IBM notes.